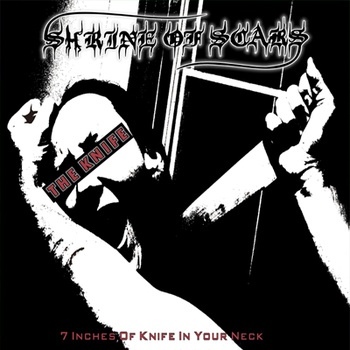 Sacramento's Shrine of Scars assault your senses with 7 lightning-fast thrash attacks. San Francisco's legendary old-school "80's puke-thrashers", Skitzo offer one brand new track and one revision of a classic. Color Cover/Black or Limited Puke Green Vinyl.